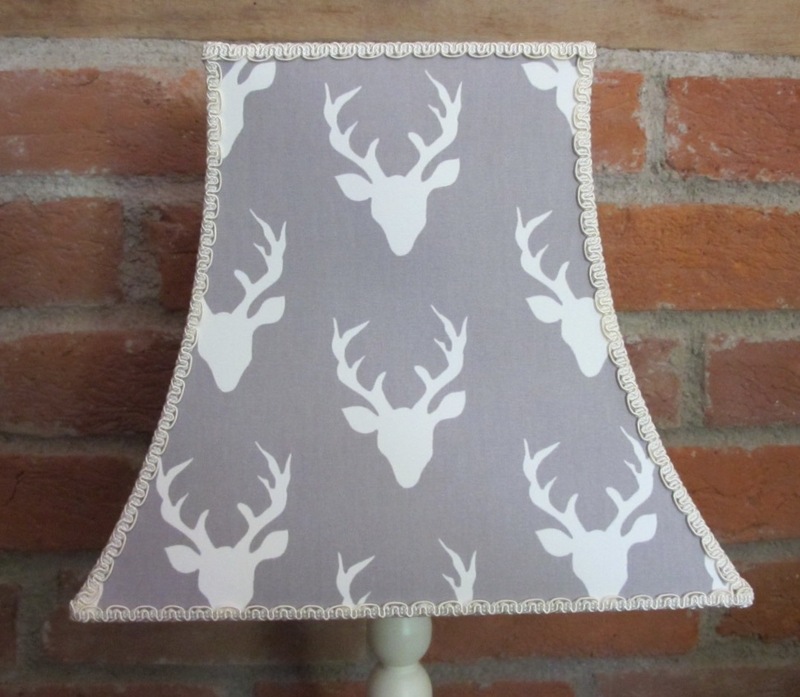 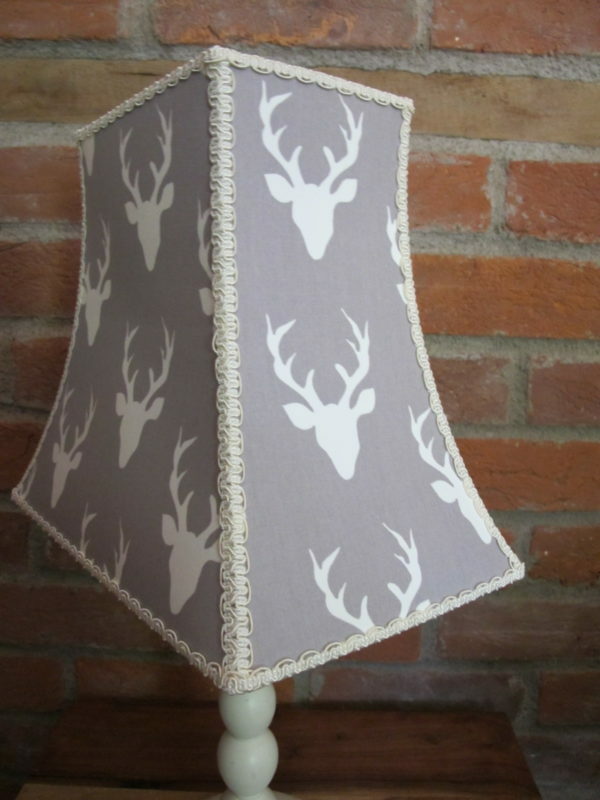 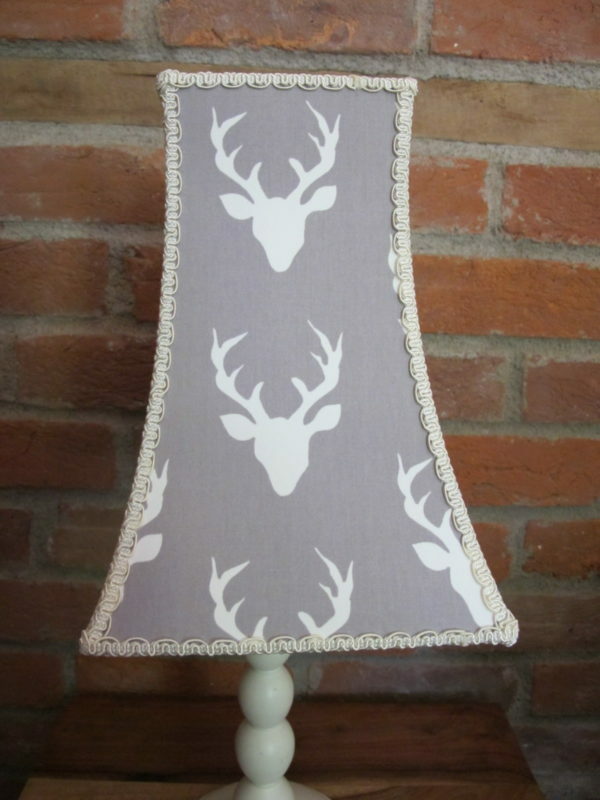 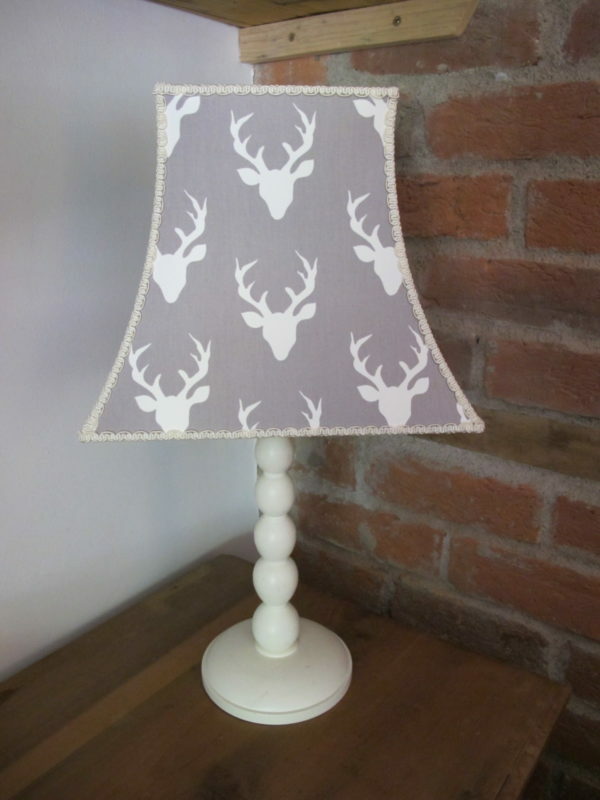 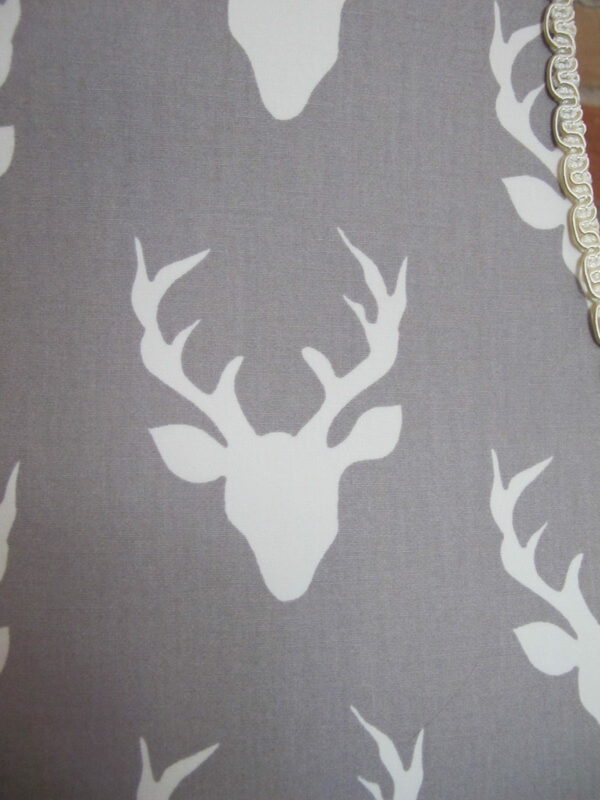 A striking print depicting cream stag heads on a grey background. 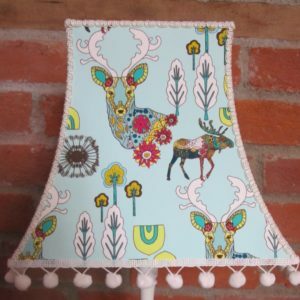 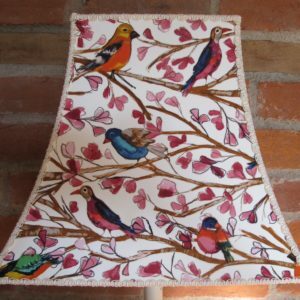 Not much more to say than that, other than it looks fabulous! 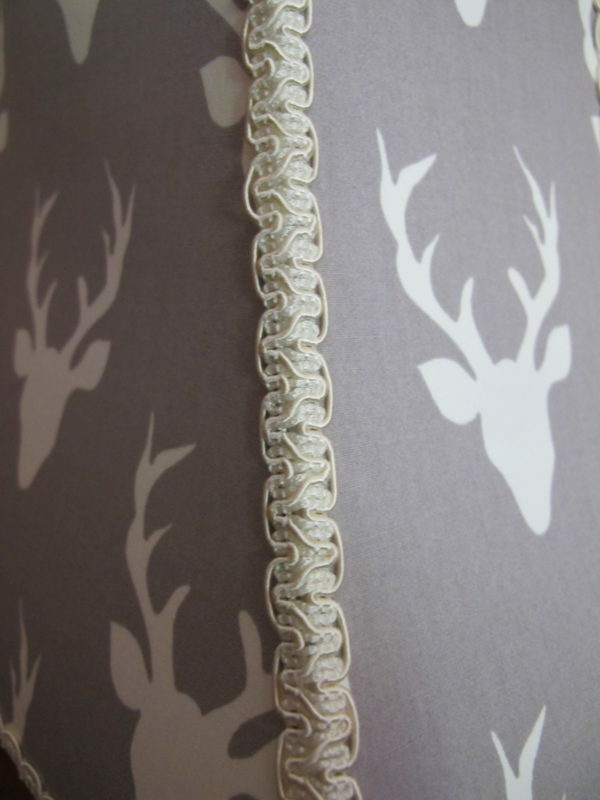 Edged with cream braid. 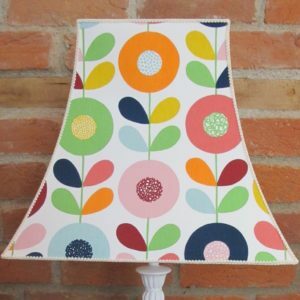 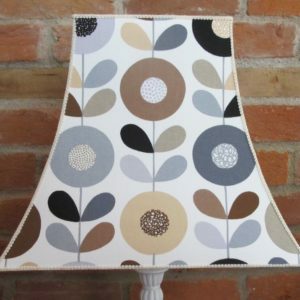 If you would prefer cream pom poms to edge the base just let me know (no extra cost).